I write this column in Danville, VA, where I am with 12 youth and 2 other adults to participate in Passport Missions Camp. I feel exceptionally blessed to spend this time with these representatives from Hope Valley and have been very impressed by the examples I have seen our youth setting. 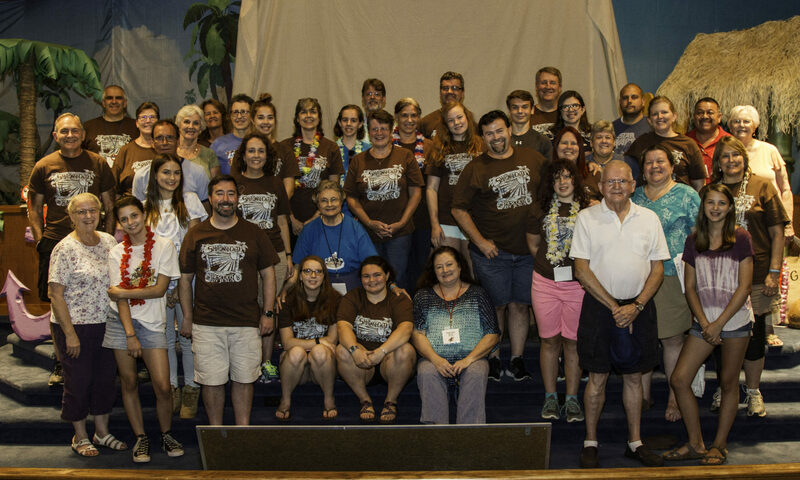 They have been fully engaged in the activities of the camp – from participating actively in worship, learning during Bible study, and working hard at mission sites. I have been tremendously proud of their commitment to make the most of this experience while having a good time and enjoying their time with each other. They have laughed together, encouraged each other, and demonstrated a desire to grow in faith and to serve God with their lives. I have been particularly touched to hear them sharing their “God sightings” during our church group times and talking about ways God is working. The Passport theme this year is “This Wild Life,” drawn from a poem by Mary Oliver that asks, “Tell me, what is it you plan to do with your one wild and precious life?” That question has captured my attention and really caused me to think about how we all ap-proach the gift of life we have been given. It seems to be a worthy question for all of us to ask ourselves and to consider prayerfully. The campers have been reminded this week that they have been created in the image of God and are truly precious in God’s sight. Growing from this wonderful message of grace and assurance, we have been reminded that we need not worry because God loves us so much. Even in the struggles and wilderness of life, Jesus never leaves us alone, and we can find reminders of His blessings. While this message is foundational to the message of the Gospel, I think most of us struggle far too often to accept and really absorb this message that God loves us even though we often don’t like and feel good about ourselves. I pointed out recently in a sermon that though we grow up singing “Jesus loves me,” sometimes we really struggle to believe that God could really love us. It is my prayer that our young people will leave here this week with a deeper conviction that they are precious to God. I hope they will understand that they have been given a gift of a wild and precious life and can, by following the call of Jesus, live life fully and abundantly. I also pray that their example will inspire all of us to greater faithfulness and joy in living the wild and precious life God has given us.